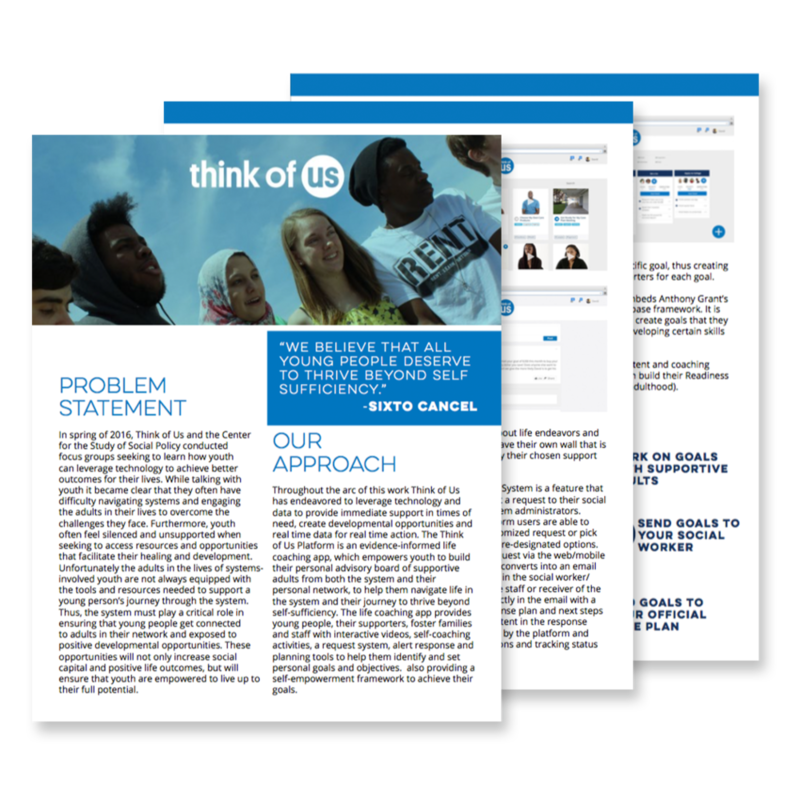 As the primary designer for the majority of my time at Think of Us, I was tasked in creating innumerable amounts of documents for a variety of uses. These documents were almost always created in collaboration with executive team members and were used both internally and externally. 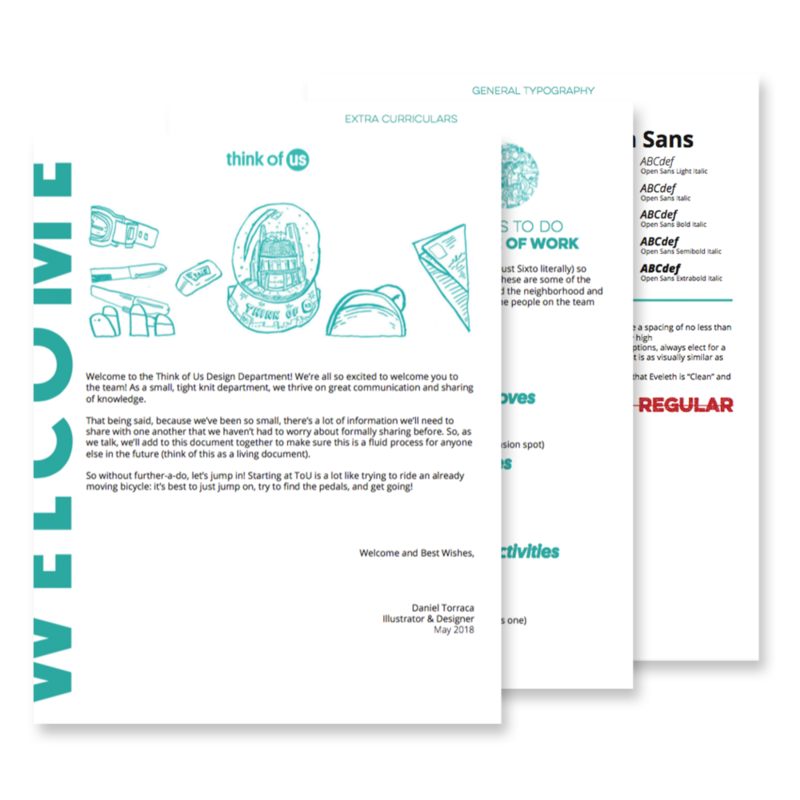 These packets were created to serve duel roles both as welcome packages for new employees as well as guides to communicate company values and basic principles. Each department had their own with tools, specifications, and cover letters by each manager. Over the duration of about 3 years many different versions of a ‘One Pager’ were created. Each was designed to communicate the mission of the company and the tools at our disposal. Attached is a copy of the final one pager created September 2018. While working with clients, it became essential for the organization to communicate our finds from users and testing. 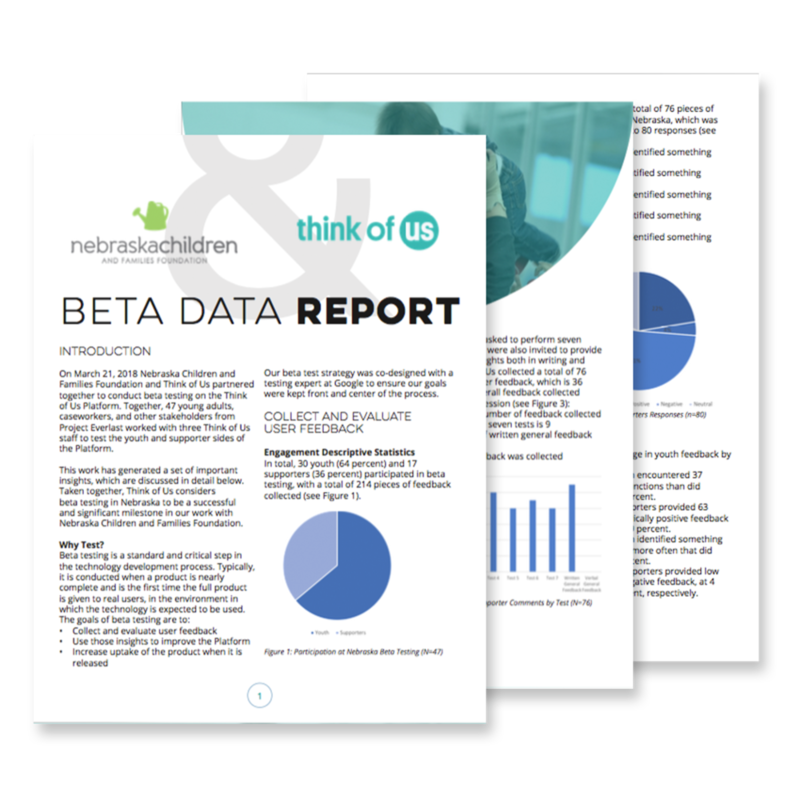 All data reports were client facing and created in collaboration with the Director of Program and Practice. Unique and thorough decks became more of a necessity as we grew. Our executive team members started seeking out different methods to make a singular ‘Master Deck’ that could be tailored to any occasion. In a similar fashion to our Data Reports, the organization was required to create a series of documents in preparation for working with new sections of populations. 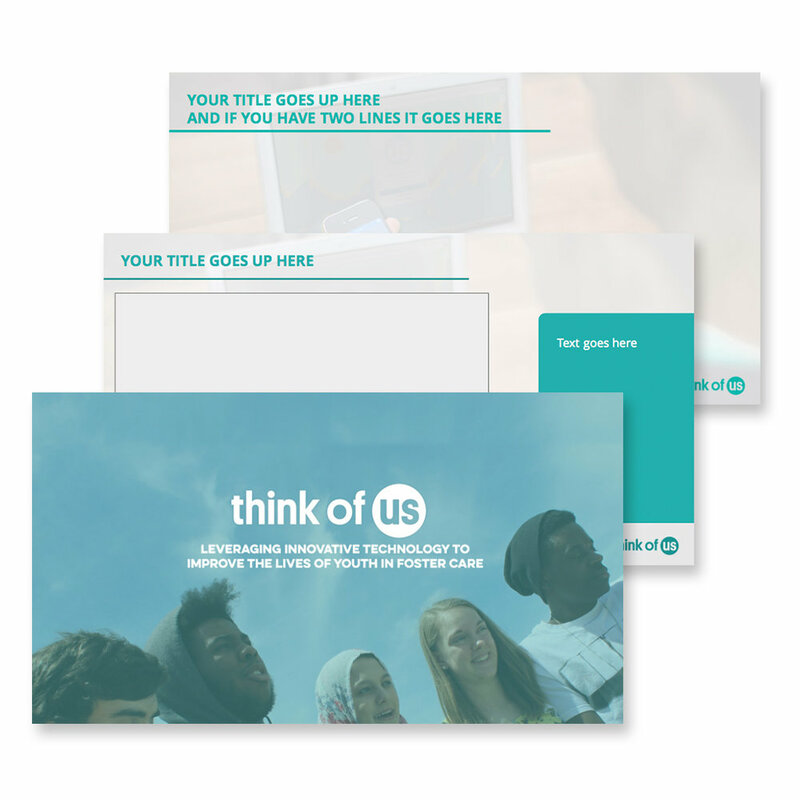 These documents were used as informational tools to inform prospective clients of the work that we intended to do and how our product would solve the problems they had communicated with us about their populations. During our earliest years, there became a need to create pitch decks and presentation tools at a rapid pace. Each of these decks needed to have the same general voice and tone but be tailored specifically to each group they were being shown to. 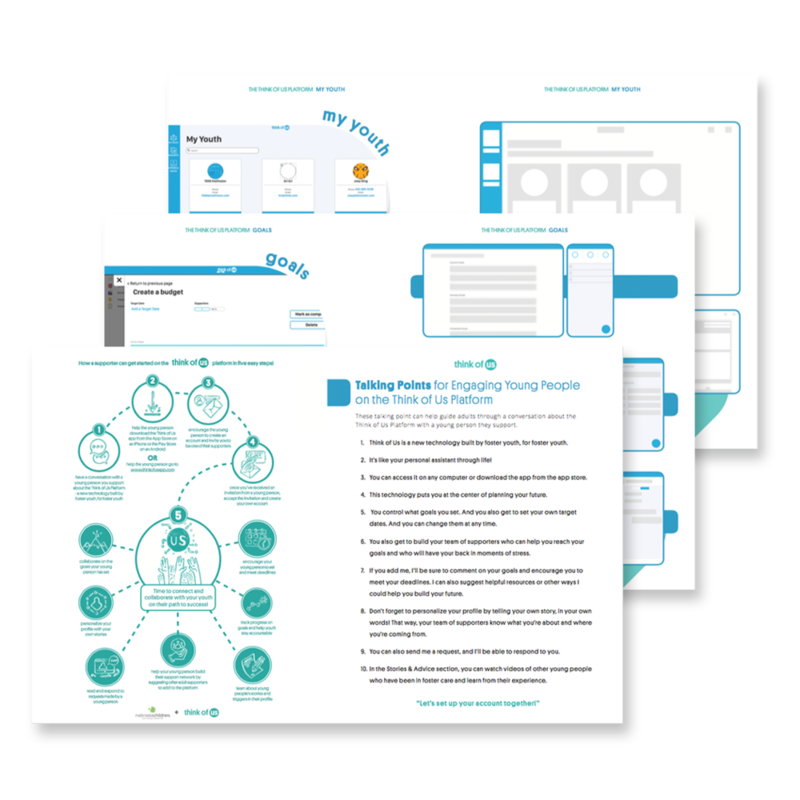 As primary designer, I created several templates to help streamline the creation and execution of these documents. 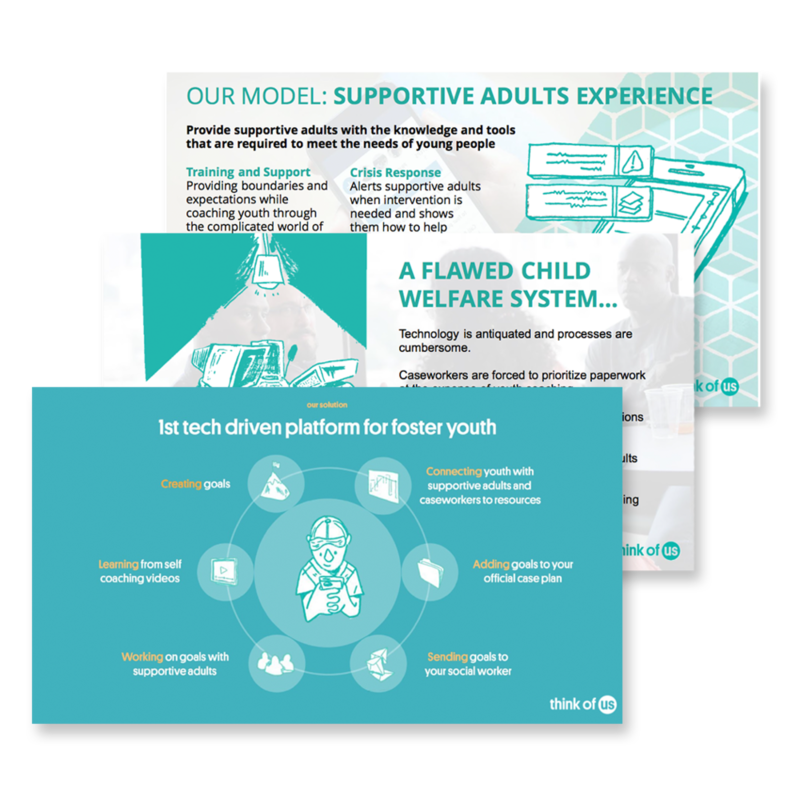 Although it is not standard for most modern applications to require printed materials explaining their basic functions, our team discovered a need within the child welfare community to have more literature around the features and uses of our product. This client-facing package was designed to help system staff talk about and gain comfortability with our product. 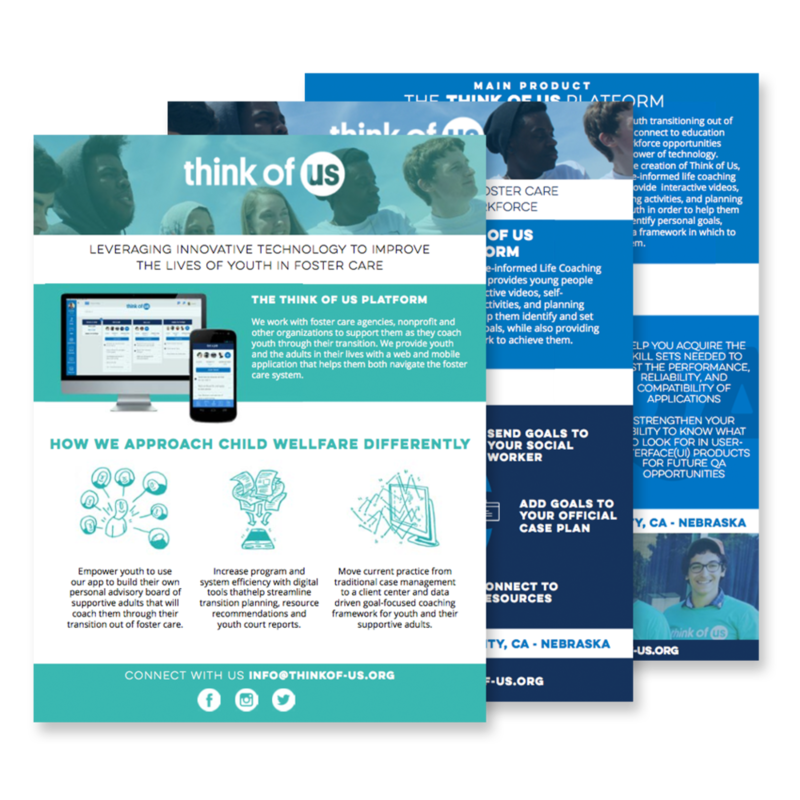 In addition to the documents needed in creating and running a hack-a-thon, our design team was tasked with creating a presentation deck to accompany the run-of-show. 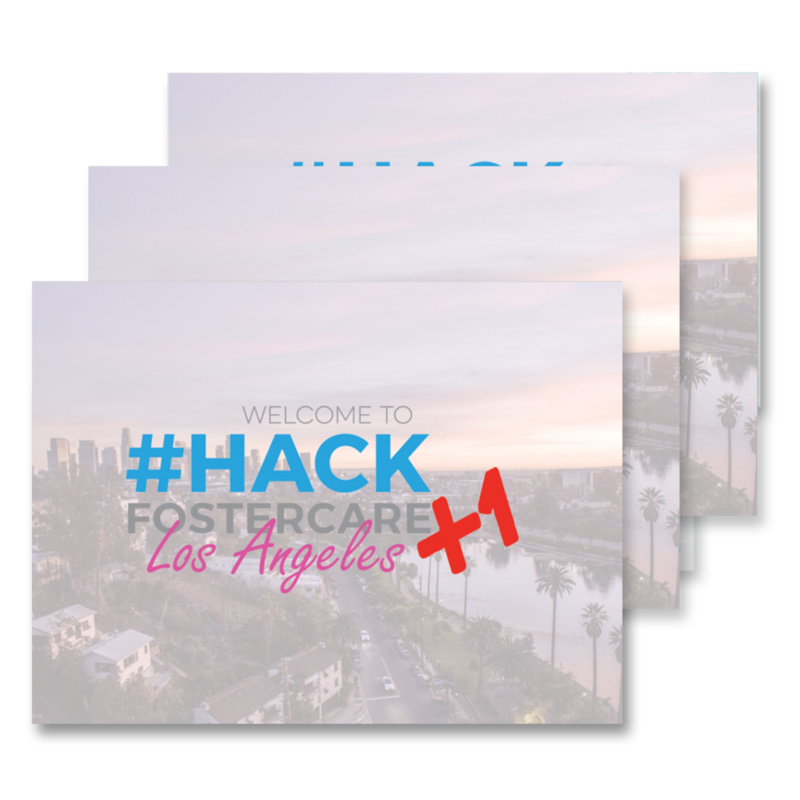 Each hack-a-thon was required to have it’s own branding, agenda, map, resource list, and presentation deck (all client facing).